De-Chuan Zhan entered the Dept. Computer Sci. and Tech., Nanjing University, China in 2000. 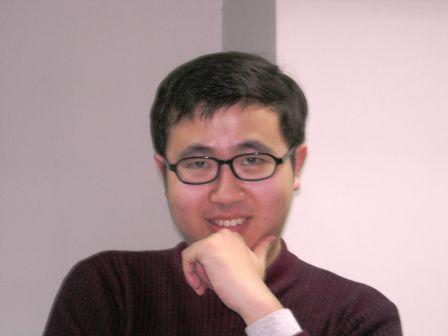 He joined the LAMDA Group in 2003, and began his research career supervised by Prof. Zhi-Hua Zhou and received his Ph.D. Degree there in 2010. In 2012, he became an Associate Professor in Department of Computer Science and Technology of Nanjing University. His research interests mainly include machine learning and data mining, especially working on mobile intelligence, distance metric learning, multi-modal learning, etc. Up until now, He has published over 30 papers in national and international journals or conferences such as TPAMI, TKDD, TIFS, TSMSB, IJCAI, ICML, NIPS, AAAI, etc. 1017 Computer Sci. Building, Nanjing University Xianlin Campus, Nanjing. Copyright ?2011 De-Chuan Zhan. All Rights Reserved.